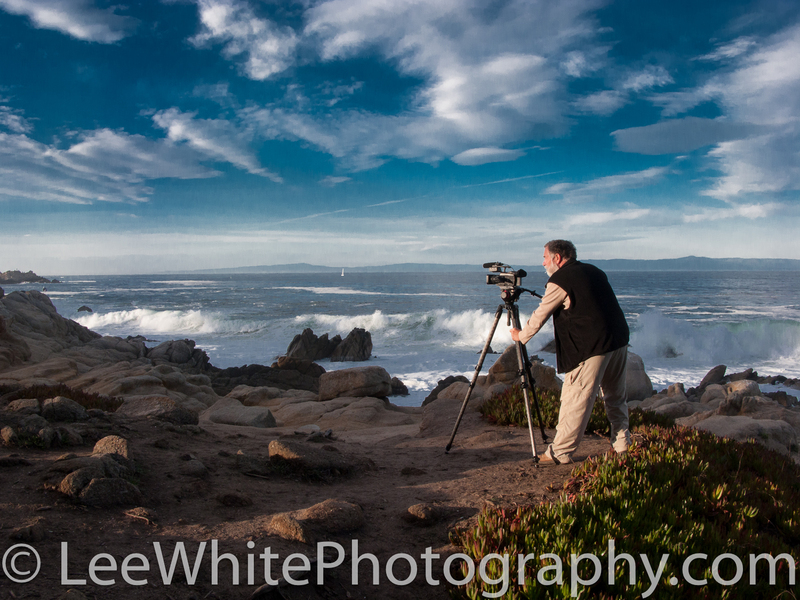 Manfrotto 536 MPRO sticks and the new 504HD fluid head saved the day in strong wind gusts. Just after being on an advisory panel at Brooks, Institute of Photography presenting my vision of the future of photography, I headed up to Carmel for a meeting with the Weston Family. Carmel is also the home of the famous Point Lobos State Natural Reserve and some of the most beautiful scenery along the Pacific Coast. As soon as I got out of the car at Point Lobos, I knew something was up. The wind was coming in strong gusts, buffeting me. 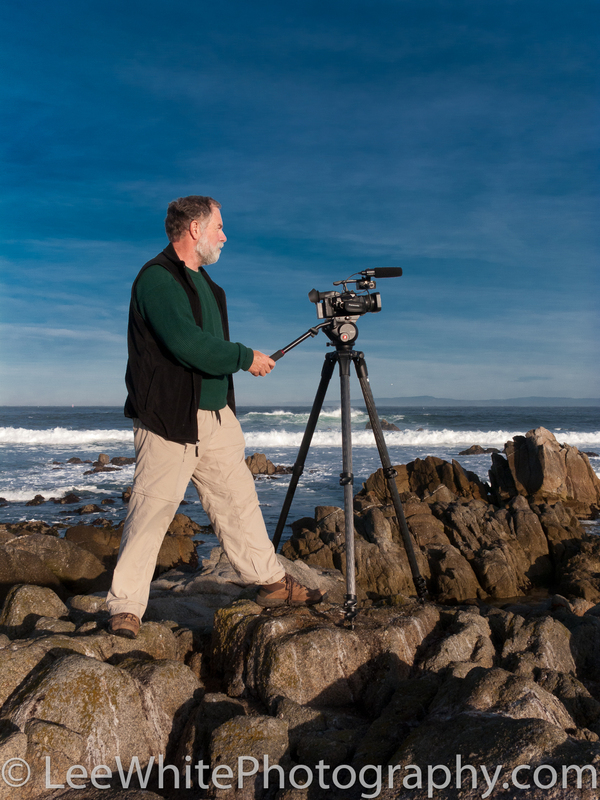 I planned to shoot with the lightweight compact Panasonic HMC 40 using the advanced AVCHD codec to capture the fine detail in the sculpted rock and twisted Monterey pines. As I looked up the first of many flights of stairs that would take me over the hills through the woods, I knew I wanted rock solid shots and silky smooth pans and tilts. The upside of a camcorder like the Panasonic HMC 40 is it is small, lightweight and easy to carry yet carries a big punch in image quality. But, its light weight can make it difficult to hold it steady in strong winds. My solution was choosing the Manfrotto 536 MPRO tripod and 504HD fluid head. The Manfrotto 536 MPRO sticks might seem like overkill for such a lightweight camera, but in fact, it was just what was needed to add stability. I was not going to spend my day climbing the hundreds of stairs of Point Lobos and end up with shaky shots. Lightweight camera plus substantial sticks equals steady shots. If I had been using a heavy shoulder mount camera that placed a lot of weight on the tripod, forcing it down, I might have been able to use a lighter weight set of sticks. However, with only the sticks to ground the camera, I was happy to have the sturdy carbon composite legs. The MPRO 536 held the HMC 40 in place even in the heaviest gusts of wind. Another nice attribute of the MPRO 536 is that I could extend the legs making it easy to get higher than eye level shots and, of course, it can flatten out to almost ground level. 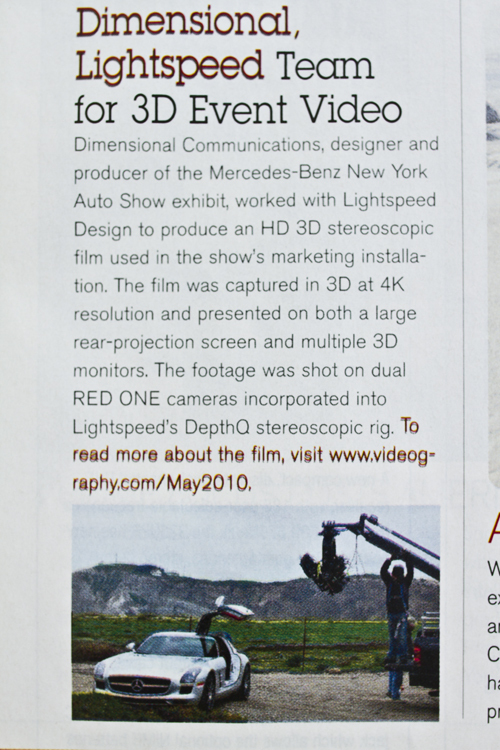 As for the 504HD fluid head, again, one might start out thinking why such a strong head for a handheld camera? 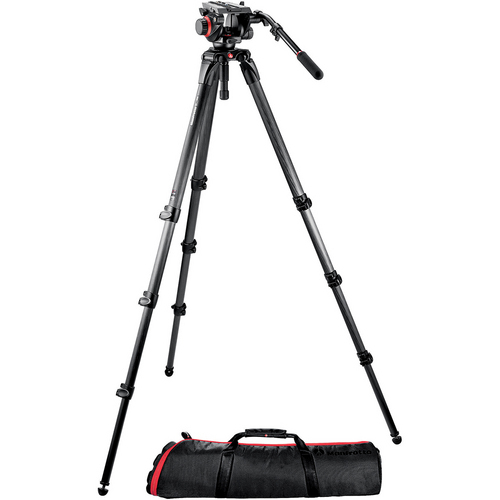 Same as with the sturdier 536 legs, the ball bearings and wide range of adjustments for tension in panning and tilting added to silky smooth moves with the 504HD. It reminded me of thick creamy chocolate milk as I made my pan / tilts. I was able to follow the waves working their way up the mini fiords of Point Lobos while splashing against the rock walls. My pans were kept smooth even when I was hit by an unexpected wind gust as I stood exposed on the rocky shoreline. The samples of the video from my shoot will be posted soon. I have mentioned how handy the Chimera Window Patterns kit was after using it during my Secrets of Video Production for Photographers in Charlotte N.C., New Jersey and again at my Brooks Institute of Photography presentation. In talking with Terry Monahan of Chimera, he was kind enough to share a system he has developed to make the Window Pattern kit even easier to use. This system holds everything, light source and window pattern, on one stand to make it easy to move as a single unit. 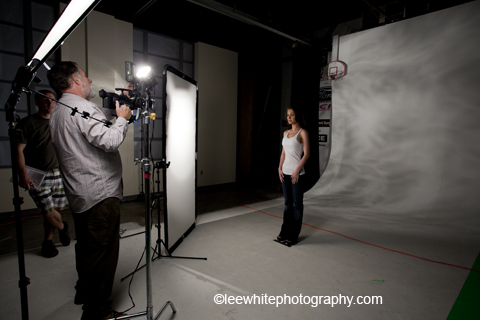 The Chimera softbox also controls the light spill. As you might remember, one of the great things about the Window Patterns is that changing the pattern is a snap, as each of the many different patterns is attached by Velcro to the matte. Since there is Velcro on both sides of the matte, you can also combine two patterns to make a third. 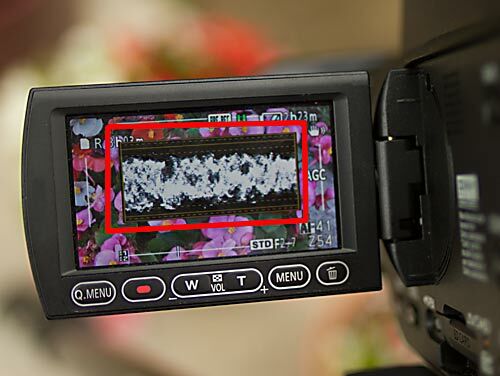 At my recent Secrets of Video Production for Photographers, which I gave at Unique Photo in New Jersey at the end of October, a participant asked me about finding an after market viewfinder screen for his Canon 7d. At the time I had no information but that didn’t last long. While talking with Richard Schleuning of Zeiss lenses, the company that brought us the incredible HDSLR and Compact Prime CP.2 lenses with more info at http://www.zeiss.com/photo, I found he had the answer. Now this is not uncommon for Richard as he is a wealth of information not only about Zeiss, but about lenses in general and is always willing to help you find the best solution. Richard told me that Brightscreen at http://www.brightscreen.com/styles.html has several screens that are brighter plus you can choose from matte or split screen for DSLRs as well as a variety of other cameras. I know that Richard is at the Zeiss booth at Createasphere happening today at the Burbank Marriott – http://createasphere.com/En/. I always check in with him at the Zeiss booth at any show, expo or conference because Zeiss is continually bringing out new lenses. In fact, I’m excited about the idea of matching up Zeiss lenses with the new Panasonic AF-AF100 fourthirds video camera coming out this December.